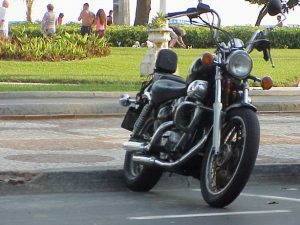 AAA reported there were 26 motorcycle accident deaths in Lee County, which means it tied for sixth place statewide for the most rider deaths in 2015. Miami-Dade reportedly ranked No. 1 with 67 motorcycle crash deaths that year, and Hillsborough ranked No. 2 with 48 fatalities. The average cost when these motorcyclists are treated and/ or admitted to a local hospital is substantial: $84,000. Motorcycle operators who survive these crashes may sometimes incur even higher medical bills because their care may be ongoing for years – possibly the rest of their live. Motorcyclists are especially vulnerable to injuries because they don’t have the same kind of barrier between themselves and the pavement or other fixed objects when some strikes them. Many riders do wear helmets, but it’s not required by Florida statute. Although AAA advocates strongly for riders to wear motorcycle helmets, our injury lawyers in Fort Myers believe it’s important to point out that even if a rider or operator does not wear a helmet, he or she can still recover damages and won’t be penalized in the civil lawsuit for their choice. While the total number of traffic fatalities has been steadily rising too, this 30 percent uptick in a single year is virtually unprecedented. It’s not as if motorcycle registrations shot up by all that much – just 3 percent from 2014 to 2015. While motorcycles accounted for 3 percent of the total number of registered vehicles in the Sunshine State, they accounted for 20 percent of the total number of vehicle fatalities. Although the number of fatal bike week accidents was lower this year than years’ past (owing partially to lower attendance, older crowds and beefed up law enforcement presence), there were at least three major motorcycle accidents that week. Those resulted in at least two deaths and six serious injuries. That was in a span of less than 24 hours. Nationally, the death rate for motorcyclists fell by half between 2006 and 2014. We went from 40 motorcycle accident deaths per 100 million miles traveled down to 23. That is according to the National Highway Traffic Safety Administration (NHTSA). Meanwhile, the number of total motorcycle registrations across the U.S. spiked during that time from 6.6 million to 8.4 million – an uptick of 27 percent. Not wearing a helmet was cited as one of the reasons for severe injuries in certain cases, though this is not a causal event. Approximately 40 percent of motorcyclists killed in crashes the last few years were not wearing helmets – which conversely means that 60 percent were. Helmets can’t protect riders from every scenario.